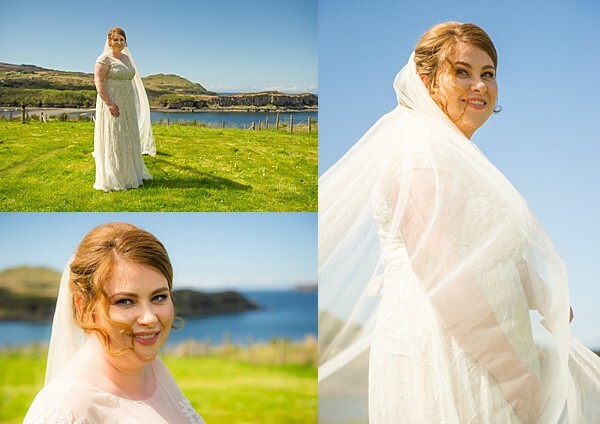 Thomas & Charlotte Isle of Skye Wedding Photography. Elopement Photographer Isle of Skye with James & Kate. Andy & Sarah Isle of Skye Elopement & Wedding Photographer. Jani & Rachel Isle of Skye Wedding was a wonderful occasion with the sun shining on the happy couple. The Isle of Skye is a wonderful place to get married, whether that is a full on wedding or an elopement. It was a privilege to be with Jani and Rachel on their special day. We started with the boys who were getting ready up in Portnalong. It was lovely to see the full regalia of a Scottish Groom, even if Jani hails from Norway. Then it was down to Fiscavaig Bay to capture Rachel in the final throws of Bridal preparation. What a backdrop as well from their garden. A photographers dream. Then it was a quick dash to Bracadale for the service, back to Fiscavaig Bay for Jani and Rachel’s photographs, complete with wellies! The day was complete when the three of us went up to Minginish Community Hall for some of the formal group photographs. Although we call them formal I am not an advocate of straight line smile at the camera images. I much prefer to have some fun and create the right atmosphere, after all a wedding is a very happy time! Rachel is a true local Isle of Skye girl and was able to teach me a few more words of Gaelic as well. Many thanks to you both for choosing Stephen Peters Photography, it was a super day. 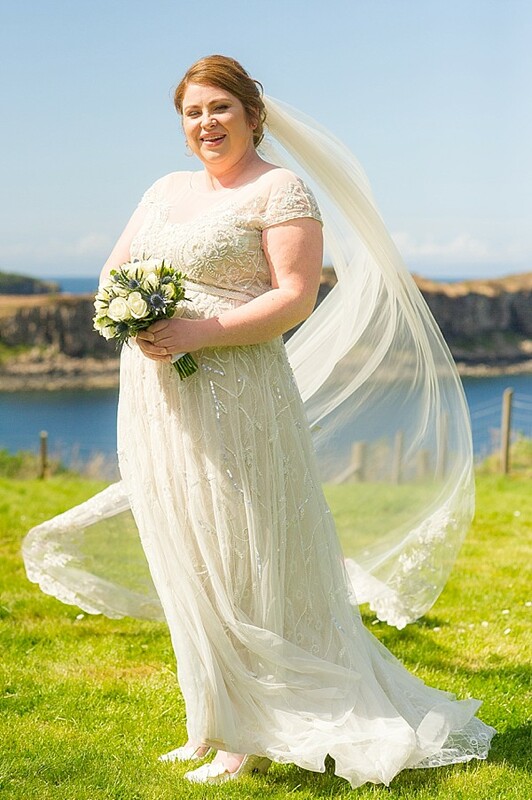 © 2019 Wedding Photographers Isle of Skye – Stephen Peters Photography|ProPhoto Website by NetRivet, Inc.